The NAPCP road show in the Eastern Cape was held on the 21st August 2018. 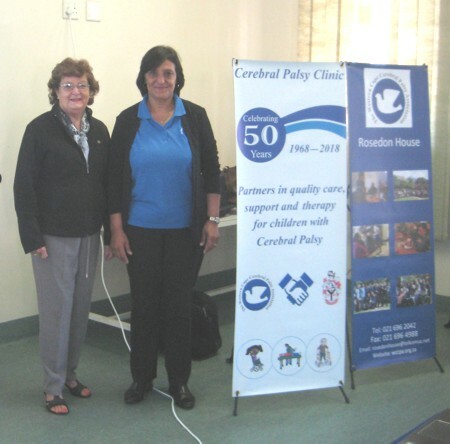 Professor Faith Bischof attended the AGM of the Eastern Cape Cerebral Palsy Association (CPAEC). She presented a PowerPoint on the history, structure, strategic plan and activities of the NAPCP. Two other affiliates of the NAPCP (Cape Recife school and Luvhambo school) were also represented at the meeting. Lurindo Prinsloo, Hambisela Program Director gave an update on the Hambisela program and their proposed research. The CPAEC are now members of the MANCOM of NAPCP, and will send a representative to our meeting in November this year. The provincial roadshow was undertaken on 27 and 28 August 2018. Mrs Colleen Bailey is the principal The Browns’ School. They have excellent facilities and well-appointed therapy rooms. They cater for learners from Grade R to 7. Autistic learners and CP learners remain at the school until the age of 18. They do not have boarding facilities. KwaZulu Natal CP Association is small, but still renders an excellent service to the community. The majority of the 8 caregivers have been there for many years (some 10 years and longer), assisting with the care of 24 children and adults with severe cerebral palsy. They are a day-care centre and do not have age restrictions in terms of the care they provide. The principal of St Christopher’s School is Mr Pieter Louw. This school also caters for learners with disabilities and cp from Grade 1 to Grade 7. The school has a number of therapists and excellent therapy facilities. 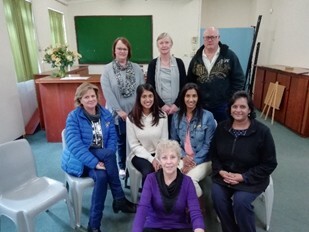 Pietermaritzburg & District CP Association is managed by Mrs Irene Dugmore,the Administrator of the centre and her staff. Approximately 32 children are cared for, the majority severely mentally and physically affected. Mr Jonathan Simpson is the principal of Harding School. What a wonderful school - so innovative with so many interesting projects and facilities. The majority of scholars are boarders and the school have learners up to Grade 7. The school produces their own maize, some of which is sold off and the rest which is used by the school to daily feed the scholars. The school grows their own vegetables, raises their own chickens for eggs and slaughter and has a plum and orange orchard. All the produce provides additional nutrition in the daily diet. They have two volunteer trainees from Germany every year for a 13 month period, who in addition to the permanent staff, assist with activities such as baking, therapy and play. The school has 2 horses for Hippotherapy and a large, solar heated under-roof pool which will be used for water therapy, is nearing completion. The Vice Chair of NAPCP visited Forest Town school on the 22nd October . This school is is situated close to the Johannesburg zoo. 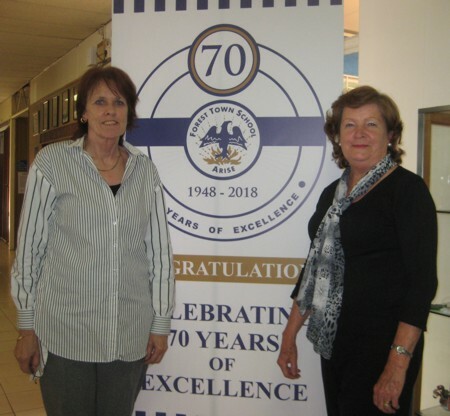 A presentation on the work of the NAPCP was given to the Principal, therapists and teachers of the school, which is celebrating it’s 70th anniversary this year. Forest Town school caters for learners with special needs from 3 to 18 years of age. The school provides a broad academic and practical education to enhance the life skills of the learners. OT, Speech and PT are also provided. For more information about the school, visit their website (http://www.foresttownschool.co.za). The school has confirmed that they will host the 2019 National Cerebral Palsy conference in May. 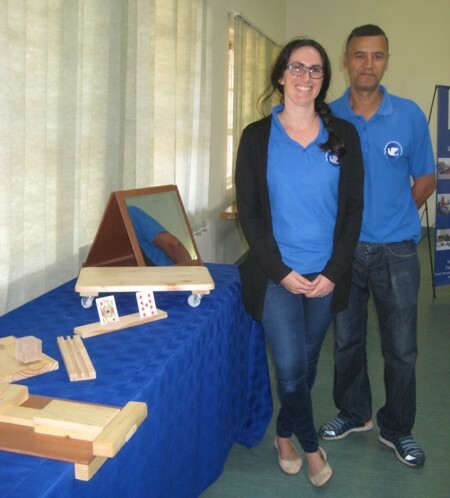 Prof Bischof also took part in the Western Cape road show on the 1st November, which was kindly hosted by the Western Cape Cerebral Palsy Association (WCCPA). It was held at the Village Work Centre. 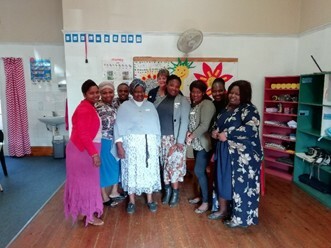 The program consisted of the NAPCP presentation, followed by a talk given by the Director of WCCPA, Mrs Gadija Koopman, on the excellent work of their organisation. 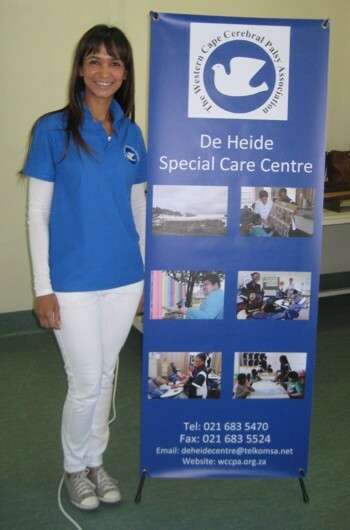 For full details of their facilities and programs you can visit their website www.wccpa.org.za. The final talk of the morning was given by OT Jo Kidd who spoke about work opportunities for persons with CP. 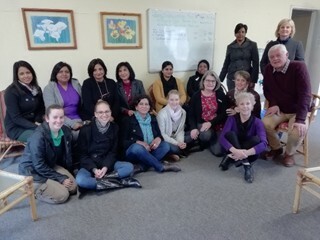 The event was attended by WCCPA committee members and staff, as well as representatives from Eros school, Paarl school and Bel Porto school. All these schools are affiliated to NAPCP. There was also an exhibition of the Assistive buddies: affordable assistive devices which are made at the centre. Ms Daphney Kubyana, a member of the Management committee of NAPCP, who is based at Ratanang Special school conducted the road show in the Limpopo province. This was quite challenging as the special schools are far apart and Daphney travelled 1762 km to cover seven of them! They are: Ratanang, Helene Franz, Bana Ba Thari, Tsoga O Iterele, Grace and Hope , Letaba and Rehlahleng. The schools shared the challenges they are having, which include financial constraints, making it difficult to attend our annual CP conference. Another is that wheelchairs supplied to the schools do not accommodate the individual learner’s needs. They requested that in service training on the management of the child with CP be provided for school support staff which would include hostel and kitchen staff. They would like NAPCP to liase with Universities regarding learnerships and practicals.